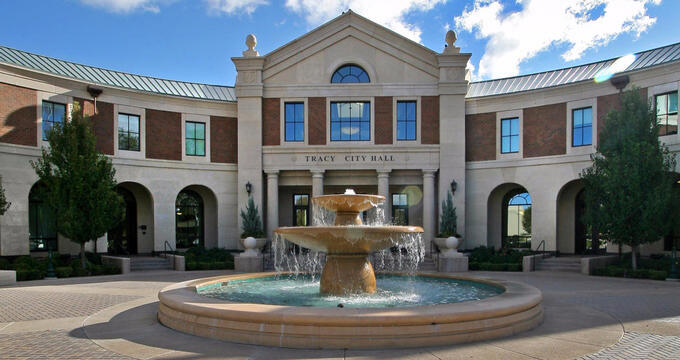 The weather in Tracy is lovely all year long through temperatures and humidity rises during the months of July and August. The city is renowned for housing an array of museums, attractions, shops, wineries, breweries, and restaurants. 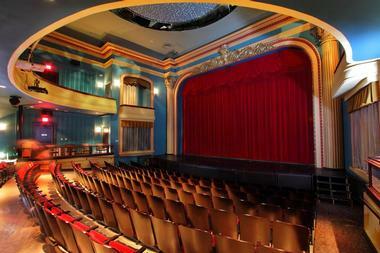 Grand Theatre has been the community’s primary center for the arts since it opened in 1923 as a premier vaudeville half-house. By the late 20s the theatre converted to show talkies, or motion pictures with sound, and then functioned as an eclectic movie house that also scheduled the occasional live performance. The theatre has now been historically renovated to support art of all kind while adding amenities that have been suggested by hundreds of community leaders, educators, art patrons, and parents. There are several events held throughout the year in the form of theater performances, concerts, photography exhibits, artists’ workshops, and much more. Though it was initially a part of the award-winning Schooner’s Grille & Brewery since 2014, Morgan Territory Brewing may have a new name, new location, and new goal, but it’s still the same flavor you love concocted by the very same brew master, Craig Cauwels. Deciding to branch away from the grill and focus on the production and distribution of creative and distinctive craft beers, the brewery includes a large warehouse complete with beautiful tasting room. 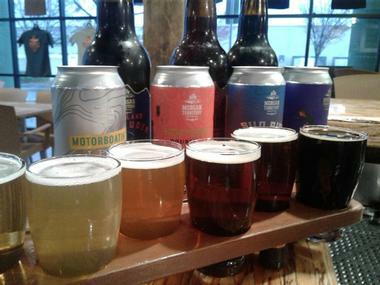 You can try their bold and diverse high-quality beers such as the California Cream Ale, the Grinding Stone Oatmeal Stout, and the Old Diablo Barley Wine. 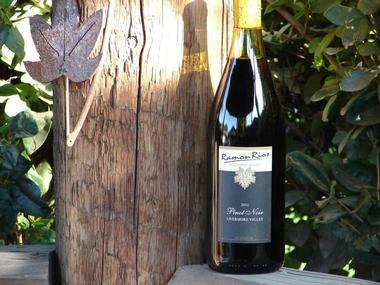 The Ramon Rios Winery was established in 2006 and can be found in the Tracy Hills Appellation. During your visit there you’ll be able to indulge in fine wines which are made and served by the owners themselves: Ramon and Debra Rios. 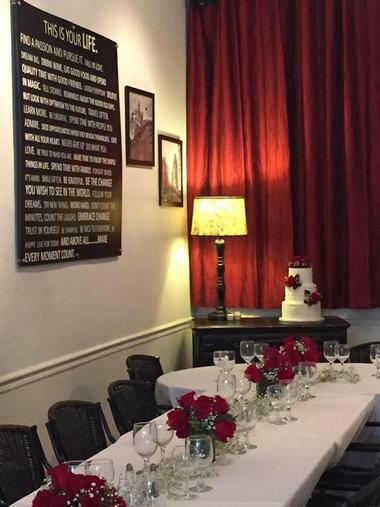 The vineyard offers a lovely setting and is often used for special events such as weddings, but the quaint and inviting tasting room is where everyday visitors usually head to. You can spend your time with friends and family in this warm surrounding while enjoying the fine wines. Ramon loves having a chat with visitors on the wines he develops such as the Petite Syrah, Pinot Grigio, Chardonnay, Port, and Tempranillo. 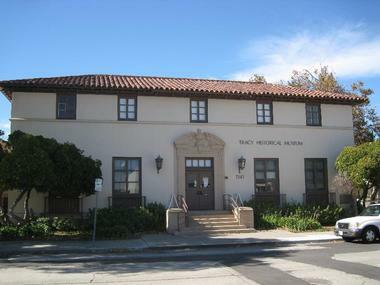 No other place better preserves and shares the history of the city of Tracy than the Tracy Historical Museum. Visitors will be able to learn a lot about Tracy, its people, and the many significant events from its past that has shaped it to the community it is today. The museum is housed in a depression-era post office building and is filled with artifacts, historic photographs, and other memorabilia which have been collected and donated over the years. If you call in advance, the museum would be more than happy to schedule a docent-led tour by one of their experienced and informative guides. 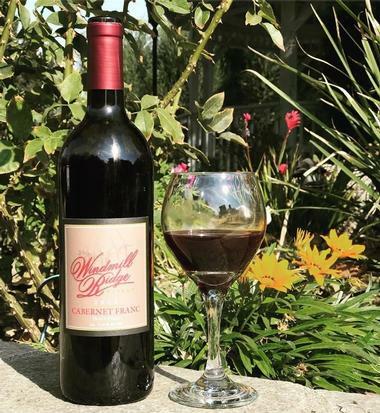 Situated within the Tracy Hills Appellation, the Windmill Ridge Winery was founded in 2007 and has grown to offer an array of award-winning wines. Once you enter the gates of Windmill Ridge you’ll be transported to a tranquil and elegant space that seems far from the hustle and bustle of the city. Visitors are encouraged to explore the expansive lawn and visit the gardens and gazebo during their visit. There’s even a designated outdoor picnic area that also welcomes pets. Once you’ve headed to the tasting room, there’s a high chance you’ll get to meet and have a chat with their artistic winemaker, Jorge, while enjoying their array of reds, whites, and blends. One of eight SVRAs administered by the California Department of Parks and Recreation, the Carnegie State Vehicular Recreation Area can be found in eastern Alameda. The area was originally the sign of the Carnegie Brick and Pottery Company which was established in 1902 and slowly formed a community around it which included a hotel, a saloon, a bakery, a school, two bunkhouses, and seventeen homes. Though it was short lived, you can still see what’s left of the historic brick company, ride on one of their many tracks, rest in the day use area, or even go camping overnight. The Legacy Fields Sports Complex will be a 166-acre active sports area that has 8 soccer fields, 9 baseball fields, and many other spaces. Upon its completion, it will be one of the largest multi-sport facilities in the region and is designed to accommodate sporting events of all nature. 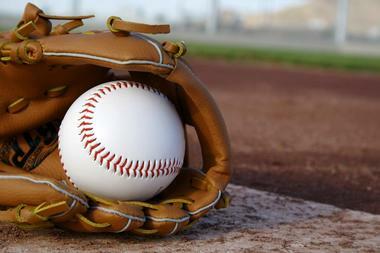 There will also be designated spaces for t-ball, softball, and other special events. It’s a great place to spend the day with the family, take in a local sporting event, have your own fun and friendly game, and just enjoy the surrounding lush greens and stunning scenery. This is still being constructed. Though they have designated fields, they still haven’t completed additional facilities such as restrooms, parking lots, etc. so it’s not really in use. Last update was made in September 2017. Skydive California is one of the state’s premier skydiving facilities. As part of the United States Parachutist Association and home to some of the most talented skydivers in the world, Skydive will ensure that you have a fun, memorable experience while instilling the utmost safety measures. All of the instructors have gone through rigorous training of the highest standard. 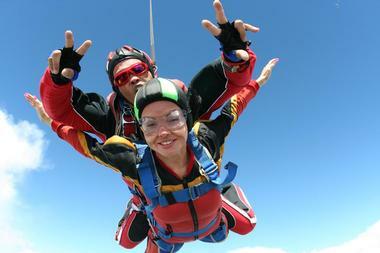 You can learn to skydive or go on a tandem skydive experience. The rush of leaping from 13,000 feet above the Bay Area as you reach speeds of up to 120 mph, and then serenely float as you open your parachute is sure to be one of the most thrilling experiences of your life. Learn how to water ski from state and regional champion instructor John Eagle. John, whose been an outdoor enthusiast and athlete for most of his life, was a professional water skier who is a member of the American Water Ski Association. Having a one-on-one private lesson with him is an engaging experience that is suitable for beginners, who want to learn how to water ski, all the way up to advanced skiers who are looking to perfect their skills. 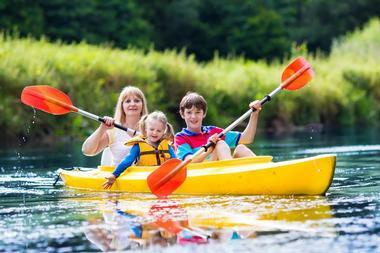 Register for a private or group lesson and make the most of your time out on the water while in Tracy. 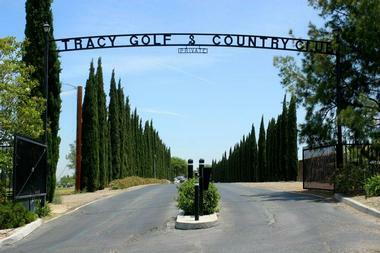 The Tracy Golf & Country Club is a member owned private country club that was established in 1955. There are different tiers of membership and non-member play is welcome as well. The original 9 hole golf course was expanded in 1969 to a championship 18 hole layout, ensuring that golfers of all levels have a challenging and enjoyable experience. Other facilities at Tracy Golf & Country Club include practice bunkers, a full driving range, full practice areas with two practice greens, and a Pro Golf Shop. Class A PGA Pro, Chris Bitticks, is a part of the club and provides private lessons and conducts youth programs for those who are interested. 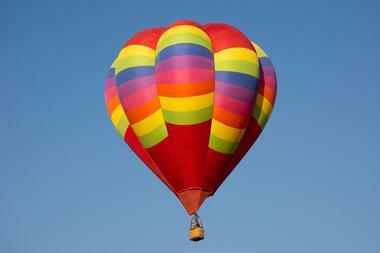 Create memories that will last a lifetime with Professor Muldoon’s Hot Air Balloon Rides. Having been around since 1979, Professor Muldoon’s offers an amazing opportunity to partake in an experience that will leave you with captivating views of Tracy and the surrounding area. 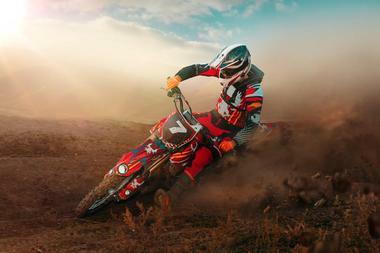 The journey starts at the brink of dawn, so you’ll see views of the sun rising and shedding its light over the valley. The incomparable hot air balloon rides last approximately an hour and come with a champagne celebration as well as a flight certificate for the passenger. It’s the perfect attraction for couples celebrating an event or just looking to have a romantic moment together. Home of the famous cheese skirt, Squeeze Burger is one of the best spots to dine in if you’re in the mood for a mouthwatering burger. The atmosphere is amazing, complete with great music, lively vibe, and delicious food. There are nine burger choices on the menu such as the Squeezeburger with cheese and mushrooms, the double Squeezeburger, and the Veggie Burger. 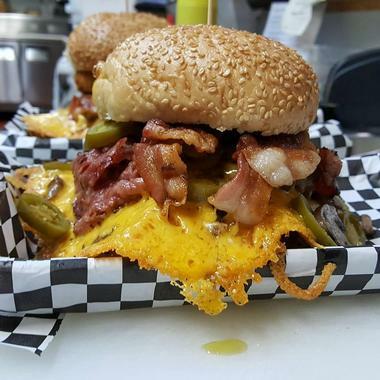 Patrons are more than welcome to build their own burger with a choice of toppings like bacon, avocados, or jalapenos. If you’re not in the mood for a burger, there are a number of sandwiches, hot dogs, corn dogs, and tacos on the menu as well. 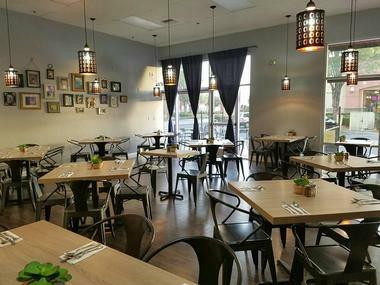 The comfortable yet upscale atmosphere of Bistro 135 is perfect for a celebratory meal with your family, a get-together with friends, or a romantic dinner with your significant other. 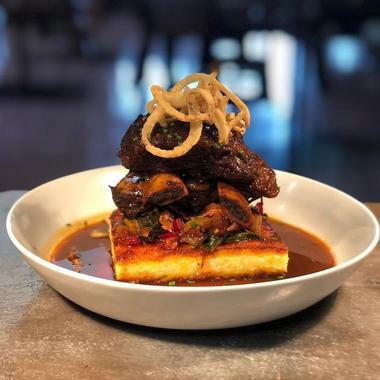 The bistro focuses on creating simple, high-quality foods that are made with the freshest ingredients - most of which are created in house like the stocks and sauces. Their menu includes an array of appetizers and entrees like their bacon and jalapeno mac n’ cheese, the house pasta with spinach and roasted garlic, butternut squash gnocchi, and the delicious honey mustard chicken sandwich with caramelized onions. Bistro 135 also prides themselves on their array of unique wood-fired pizzas such as those topped with spicy pulled pork or chorizo. The Mazaa Kabob House serves authentic Afghani cuisine made from recipes that have been passed down generations. The cuisine reflects the cultures that produced it, and with Afghanistan’s history having connected with others such as the Mughals of India, the Persians, and the Mongols, you can taste all these unique flavors and ingredients in each bite. Some of the most popular dishes at Mazaa are the palau, which is rice that has been baked with meats and spices, and the qorma sabzi, which is a savory dish of chopped spinach, onions, and cilantro. While there be sure to try Mantoo, which are succulent steamed dumplings which an adaptation of Chinese cuisine. The Town & Country Cafe is a lovely restaurant that themselves in only serving real food that is made fresh daily and prepared only once you place your order. The dining establishment has an extensive breakfast and lunch menu that will leave your taste buds and stomach completely satisfied. Some of the breakfast favorites are Kim’s Veggie Omelet which includes sautéed spinach and feta cheese, Mike’s biscuits topped with poached eggs and sausage gravy, and their bacon stuffed pancakes topped with candied pecans. If you happen to be there for lunch, try out the BBQ bacon cheeseburger, the Italian club sandwich, or their Basic BLT.